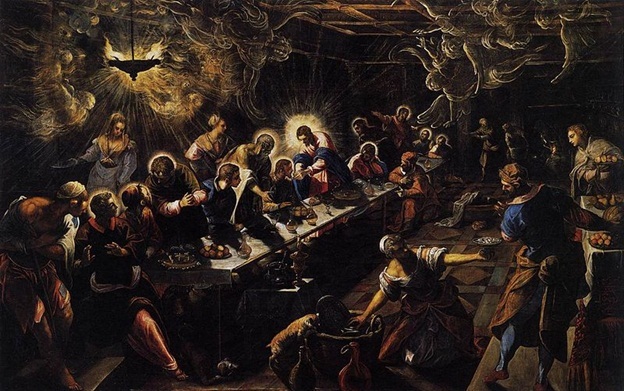 Very few are known to be born painters, but for Italian Jacopo Tintoretto, this phenomenon was true. Tintoretto, who was named Jacopo Comin was born in 1518 to an Italian father who was a dyer (tintore) from which he got the nickname, little dyer or tintoretto. He was one of the most important artists from Venice during the Renaissance. Tintoretto was known to put incredible energy into his paintings that he became known as Il Furioso. Muscular figures doing striking gestures were his trademarks. He also employed very distinct perspective following the Mannerist style and at the same time using light and color that were typical of Venetian school style at that period. 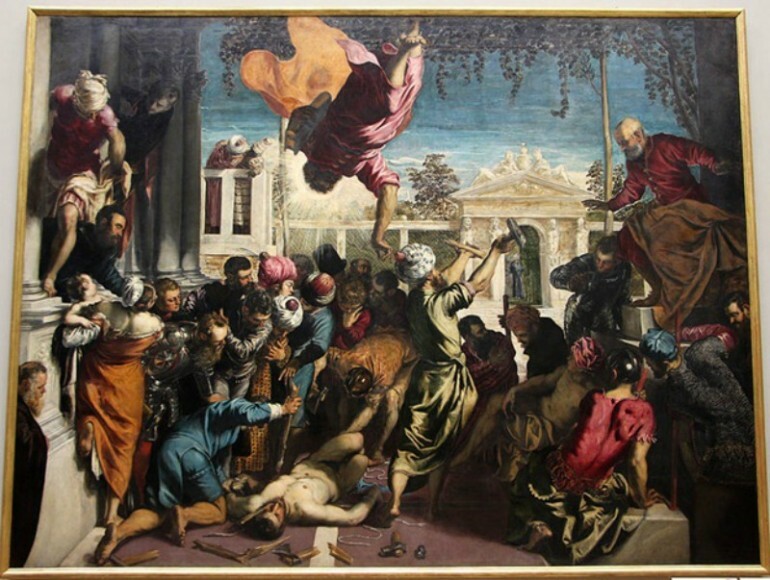 Tintoretto, who was born in Venice, came from a very large family. It was said that he was a born painter, decorating the walls of the dyer shop. At age 15 his father brought him to Titian’s studio to see if he could still be trained. At that time Titian was already 56 years old. He only stayed there for 10 days. Some said Titian was jealous of his talent while others supposed that it was due to the fact that there was nothing more that Titian could teach the young artist, who seemed to be predestined to be a great one, because at that age he had already mastered the rudiments and techniques of painting without proper training. This caused Tintoretto and Titian to be cold towards each other. Tintoretto then started learning on his own, until finally he was able to have his own studio. He had deep knowledge of art and techniques due to his own personal labors and successfully combined Titian’s use of color and the drawing style of Michelangelo and developed his own style from there. Tintoretto became very proficient in clay and wax modelling method after he had laboriously and seriously studied from models specifically the Dawn, Noon, Twilight and Night sculptures of Michelangelo. These and other models that he made were often placed inside a box so that he’ll be able to arrange his composition for maximum effect. He used a candle to provide the dramatic lighting for his subjects, which created some very moving paintings. Tintoretto succeeded in getting commissions by initially creating paintings for free, donating it to whomever was the patron. Andrea Schiavone, a junior artist, was one of his companions while working on projects, even helping Schiavone on wall paintings for nothing. Most of Tintoretto’s early works were already lost, but it had been recorded that Titian did acknowledge some of these works and gave them praise. Some early works that are still extant are religious paintings, such as the Presentation of Jesus in the Temple (Church of the Carmine, Venice); Christ with the Woman of Samaria and Annunciation (S. Benedetto) and four paintings with Genesis as theme (Scuola della Trinity). Two of the latter – Death of Abel and Adam and Eve are now at the Venetian Academy. Even these early works displayed Tintoretto’s mastery, one of the only few artists without formal training to attain such as high level of artistic achievement. In mid-16th century he contracted to paint the entire Scoula di San Rocco and the nearby church of San Rocco, finally ending with 52 unforgettable paintings. He also worked on several paintings for the palace of the Doge. One of his larger paintings was Paradise, which was intended for the palace. It measured 74 feet x 30 feet, which is said to be the largest painting ever done on canvas. He first painted it at the Scuola della Misericordia, changing the composition many times before bringing it over to its rightful location to finish the work. He was assisted by his son, Domenico, because during that time, he was already 70 years old. The painting was one huge sea of activity with hundreds of figures, each one in an active pose. It was full of passion, impressive imagination and a magical composition of color and shape. It is a painting that will take a viewer a long time to process and admire. The Embarkation of St Helena in the Holy Land was attributed to Schiavone, who was a constant co-painter of Tintoretto. It was only in 2012 that it was fully determined that said painting was done by the master.